Reassurance shield as 62 joins 66 and we head out of Sulphur. 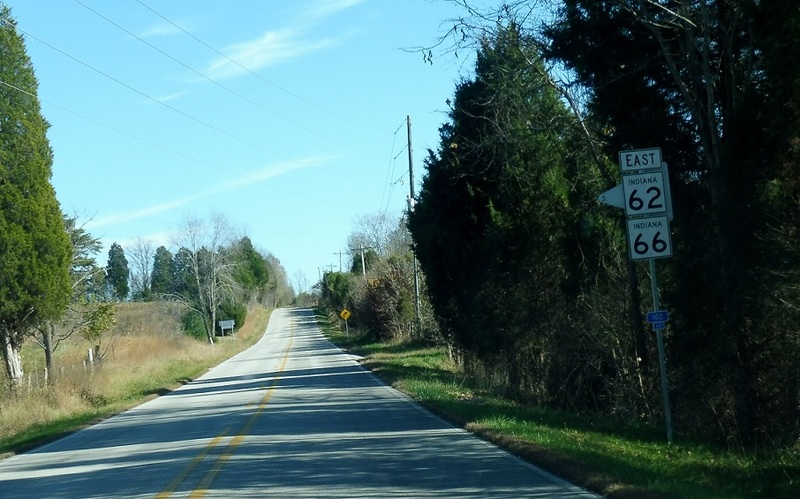 Shortly thereafter, keep left to stay on 62/66. 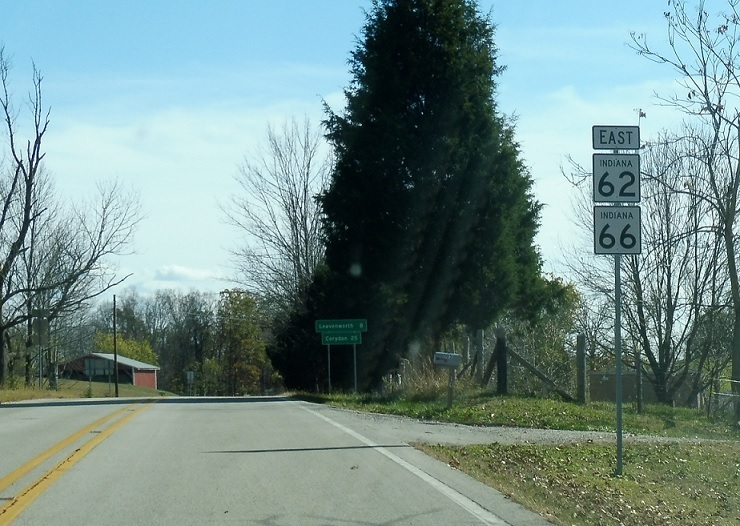 A few miles after that, SR 66 splits from 62. 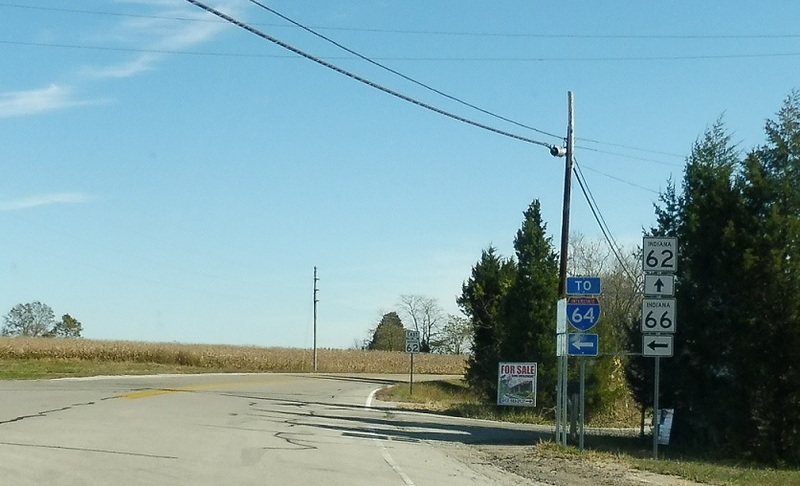 Turn left for 66 east to I-64. 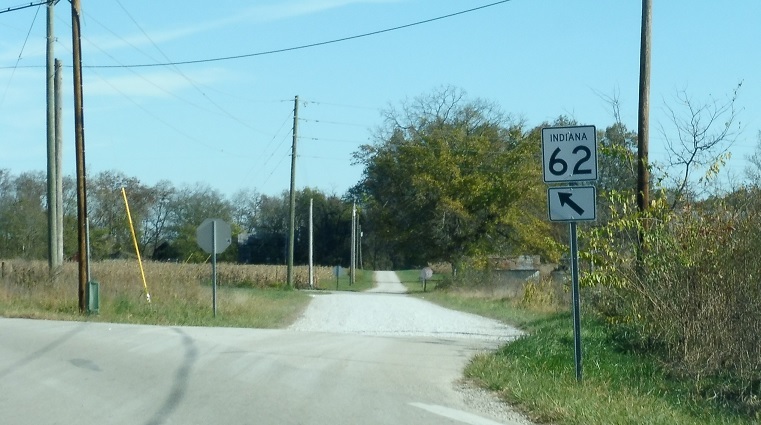 Stay straight to stay on SR 62.